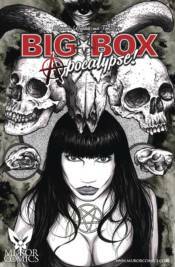 A supernatural Big Box Store corrupts a small town to open a gate to Hell! Teddy St. Louis, owner of 'The Black Cat Emporium,' battles 'Star Mart' owner, Mona, a demon of avarice and greed. The end is nigh. The Big Box Apocalypse approaches!